There’s a bunch of special wallpapers that were originally only available by visiting various Animate shops and scanning QR codes! Spray compiled all the links in a blog post, so now everyone can view them. Each character also has a random secret about himself. Translation below! Click each character's name to access the page with the wallpapers, voice samples, etc! Yuki: Since you looked here, I'll tell you my secret. Actually, sometimes I eat my bento early during class. I end up getting hungry soon, but if I leave it, my empty stomach growls really loud and it's embarrassing. Oh, keep it a secret from the teachers. Kuya: Since you looked here, I'll tell you my special secret. I've never had a cavity! But cavities can be spread by kissing, can't they? Then I look forward to someday having the person I love spread their cavities to me! Takato: Since you specially looked here, I'll give you some private information. Let's see... actually, I've never lost at arm wrestling. I may not look it, but my grip strength is about 70kg, so if I make some effort, I can overpower someone. Joker: Since you looked here, I'll tell you my special secret♪ Actually, I can't sleep unless I'm lying on my stomach. But if my dear one became my body pillow, I'd sleep with them while watching their face. 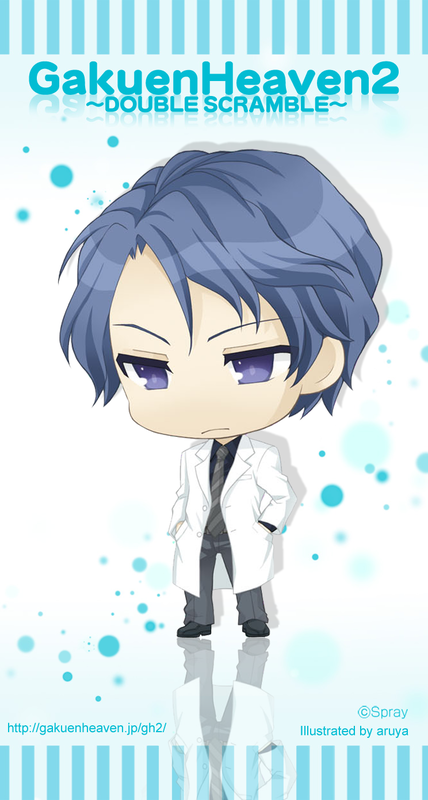 Sonoda: Since you looked here, I'll tell you my special secret. Actually, I like cute things. Especially small girly things. I use them as a reference for my original desserts. But since the guys at this school would make fun of me, I keep it quiet. So, this secret is just between us. Chiba: Since you looked here, I have to give you some sort of thanks. Let's see, you can become strong if you do one thousand practice swings per day. It builds up your arms. Improves your mood. Oh, and my sister said it slims you down. Myself does it every day, so how about doing it together? Arata: Since you looked here, I have to tell you a special secret, they said. Um, but I don't have a secret. Oh, sometimes when I wake up, I'm naked. It seems I unconsciously undress while I'm asleep. Tomo: I'll tell you my secret as thanks for looking here. Actually, I roll my pencil to answer tests. Everytime I get exactly 50 percent right. Don't you think it's the opposite, that it's more amazing than someone who's lucky? Yagami: Since you looked here, it seems I have to tell you a special secret. It's not really a secret to me though. If I had to say, I don't hate the... "Kingdom of Magic and Dreams." Depending on who invited me, I could go. Wait, don't tell him! He'd definitely invite me with a stupid grin.